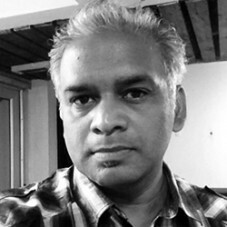 Dr Srinivas Chokkakula is a Fellow at the Centre for Policy Research, New Delhi, India. He is a political geographer and has earlier degrees in civil engineering and environmental planning. His current research interests focus on politics of infrastructure development and transboundary water conflicts. He is studying the Government of India’s rural roads programme, the Pradhan Mantri Gram Sadak Yojana (PMGSY) for the Roads Project.